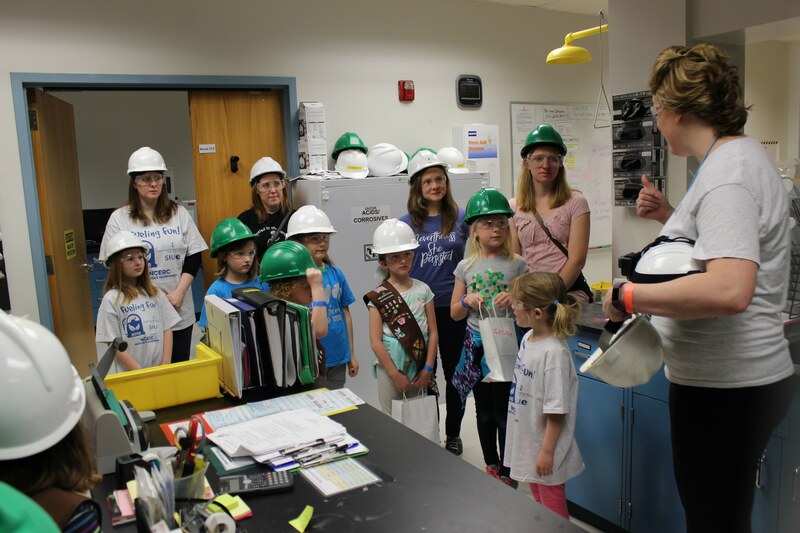 The National Corn-to-Ethanol Research Center (NCERC) at Southern Illinois University Edwardsville (SIUE) hosted its first Biofuels Workshop on Saturday, May 5 for over 50 Brownies, Juniors, and parents of the Girl Scouts of Southern Illinois (GSOFSI). The “Fueling Fun” workshop featured hands-on activities that showcased fermentation science, the benefits of biofuels, and careers in Science, Technology, Engineering, and Math (STEM). Funding for the workshop was provided by the Meridian Society, an organization of women dedicated to supporting SIUE programs through philanthropy and financial education, through a grant proposal titled “Solving the Equality Equation: Providing Hands-On Workshops in STEM.” Jackie Pohlman, event coordinator and NCERC commercialization specialist, said the Meridian Society’s support was another example of women supporting women.